Posted on January 23, 2019 at 12:30 pm. The Macau Gaming Inspection and Coordination Bureau (DICJ) has given Melco Resorts and Entertainment the green light to expand its operations in the city. In an email to GGRAsia, the DIJC hinted that Melco can now add “40 new-to-market mass-gaming live dealer tables”. According to reports, the tables are already in the fitting stage. The DICJ said the company “applied for new gaming tables with us and we already granted 40 new-to-market mass gaming tables to [the firm] on January 1”. The bureau also revealed that MGM China Holdings has approval to add more tables in concert with a previous agreement. The company has been granted a request to add 25 new tables at its MGM Cotai project. However, MGM did not reveal where the tables would be fitted, whether at the VIP or mass-market segment. The Secretary for Economy and Finance in Macau, Lionel Leong Vai Tac, announced in February last year that the resort would have 125 new-to-market gambling tables. Out of that, 100 would be ready for the launch of the resort, while the remaining 25 would receive authorisation within this month. 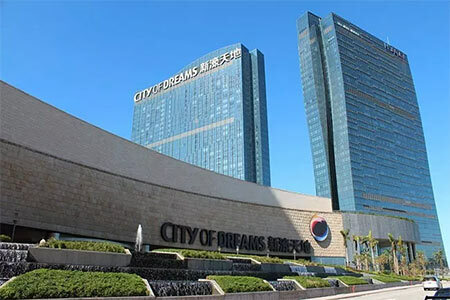 In June 2018, Melco opened its $1.1 billion Morpheus Luxury hotel at City of Dreams Macau. Despite the hotel being authorised for gaming, it had no new-to-market gaming tables. With this new agreement, the company can move 40 tables from other venues to Morpheus.